I love the LA Marathon!! I think it’s one of the best marathons in the US and doesn’t get the credit it deserves! LA has this big city marathon in one of the country’s most popular travel destinations. 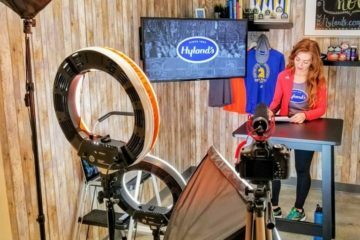 Throughout the year people come from all over the world see the Hollywood sign, walk down the iconic Santa Monica pier and stroll through Beverly Hills – and the marathon course passes through so much of it. So… Why aren’t we talking about this? Why doesn’t it sell out?? 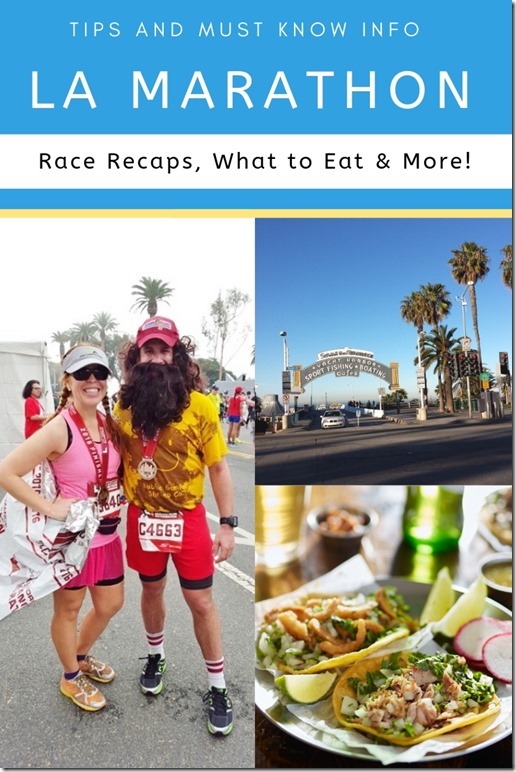 We can talk about that another time – today I have a lot of tips and race recaps to help you get read to run LA! Sadly, I can’t run the race this year because I’m in the process of freezing my eggs and on doctor’s orders not to run this week. Boo. 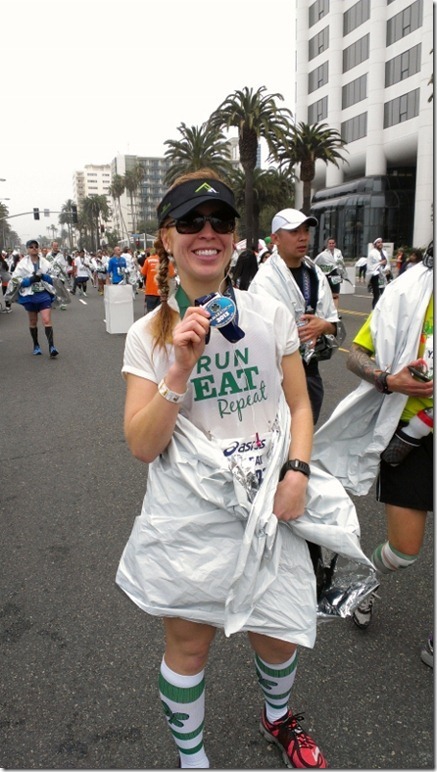 I really love the LA Marathon so if you’re running it – you’re in luck! I have 5 race recaps, tons of tips posts and more below. And if you’re not running it… well, you can’t register this year because it’s sold out. But Pin this post for next year! Check out these tips and round up of posts to help you get ready to bring your A game to the starting line! 1. PLAN your Fuel & Gear for Race Day. Check and double check the weather report and your packing list. If you trained in cold weather – think about what you wear for race day conditions. Race day weather is in the low 60s – which I love! But if you trained in the now that might feel HOT. Plan your gear and fuel according to your body’s needs and race day conditions. 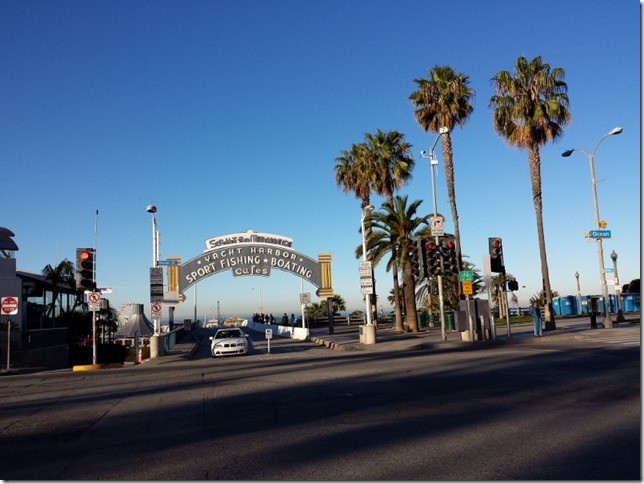 The LA Marathon is a point to point course = it starts at Dodger Stadium and ends 26.2 miles away near the Santa Monica Pier. So most runners need to park near the beach and take a shuttle to the starting line. It’s a very early start and the streets will be jammed. PLAN how you’ll get to the starting line, what time you need to leave your home/hotel, driving, parking and walking time. I love the LA Marathon course! You’ll run by tons of iconic landmarks! And normally these streets are JAMMED so enjoy this rare opportunity! Tip: Photo-ops include the Hollywood sign, Disney Concert Hall, Grauman’s Chinese Theater, Rodeo Drive, Santa Monica Pier and more!! Tip: Note where the aid stations are so you can fuel appropriately. If you have a sensitive stomach bring your own solid fuel (gus, energy bars, etc) and drink water on the course. Have your spectators sign up for runner tracking so they know where you are on the course. Since it’s point to point it’s hard to see someone run by more than once. Runner tracking helps know where your person is out there. 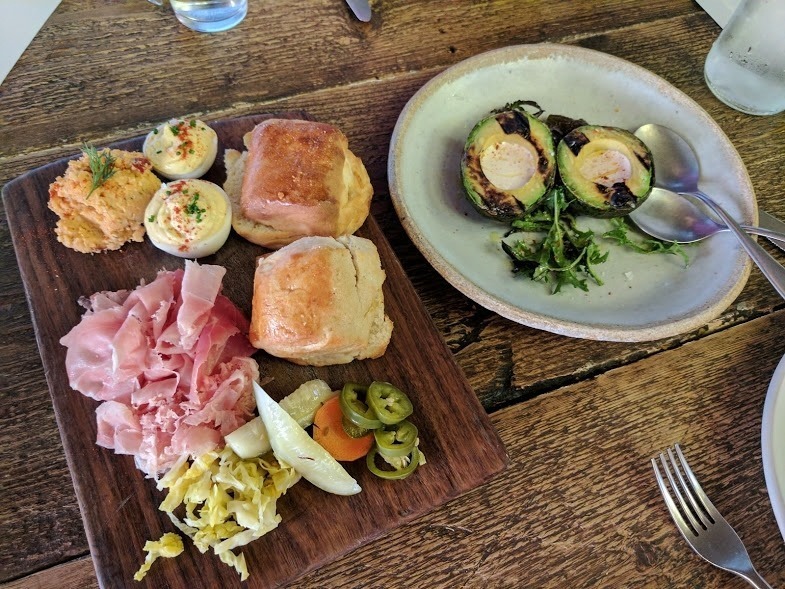 You’re in LA! You’re running a race!! Enjoy every second!! Run strong. Have fun!! What I Ate the Week of the LA Marathon – A post on what I was eating leading up to the race. I was on a clean eating challenge and trying to balance healthier food choices while trying to treat myself. LA Marathon Weekend Highlights – fun and food in Los Angeles before the race. 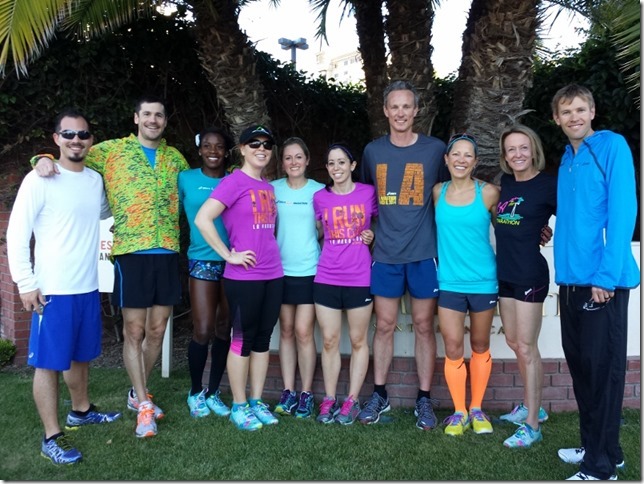 LA Marathon Post Race Dinner with Deena Kastor and the Bloggers – after the race a big group dinner with the other running bloggers and coaching team. I’m really sad I can’t run LA this year so I’m signing up for a few other races to help ease the pain. 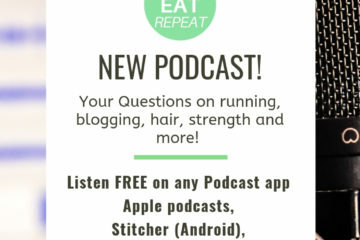 If you’re having fomo too – check out my race discounts! 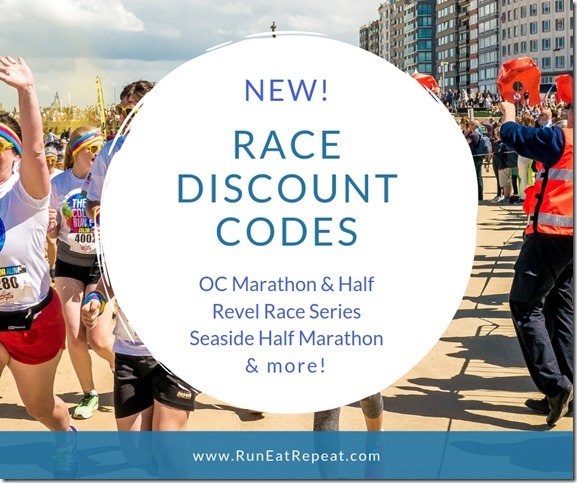 Race Discount Codes – Check out my race discount codes post for new running coupon codes for races all around SoCal! Question: What’s your favorite local race? Big City race?